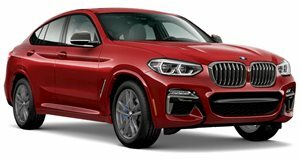 With the SUV market growing at such a rapid pace it is perhaps no surprise that BMW decided to expand their offerings with the introduction of the Coupe shaped X4 in 2016. Dubbed a Sports Activity Coupe (SAC) it is basically a hatchback version of the more traditionally styled X3. In an attempt to lure even more customers away from their sports sedans it has received a number of updates for the 2017 model year. The quality of the cabin is as one would expect from a premium manufacturer like BMW and the layout will be familiar to fans of the brand. Interior changes for 2017 are minimal, the most obvious visual difference being the updated iDrive system. The cost of the lowered roof line means less headroom and in the rear and a cargo area that is also significantly smaller than you would get in the X3. Direct competitors to the X4 are a bit thin on the ground with the Mercedes-Benz GLC coming the closest in execution, while the exterior dimensions are similar the GLC does offer slightly more interior space. Interior space issues aside an area where the X4 shines is in the handling department, the M40i comes standard with adaptive dampers, stiffer suspension and springs which make for a very planted feel when tackling the bends and belies its high-riding layout. The 28i does without these M-tuned updates and offers a softer ride and less direct handling which may appeal to a slightly different target market. Larger wheels and an M Sport package which includes dynamic damper control can however be optioned on the 28i which should sharpen up the handling. 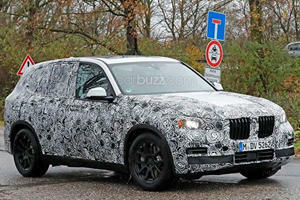 Both models offer impressive body control for an SUV or SAC as BMW insists on calling it, but there is a clear distinction between the two variants in the range and their intended roles. The base 28i comes equipped with the company’s TwinPower turbo 2.0-liter inline-4, pumping out 240 horsepower it gets the X4 to 60 mph time of 6.0-seconds which puts it well ahead of the class average and should be more than enough pace for most buyers. For 2017, the range-topping xDrive 35i has been replaced by the even more impressive M40i which now produces 355 hp from its sonorous inline-6. This power unit is not available in the X3 which retains the 300 hp 35i unit. Torque is also up to 343 lb-ft which helps the X4 manage the 0-60 mph sprint in a very rapid 4.7-seconds, you will have to look to the far pricier Macan Turbo for a better result. Both models come equipped with a smooth shifting 8-speed automatic transmission and feature the xDrive all-wheel drive system as standard. The usual standard fitments in this class such as LED running lights, rear parking sensors and multi-zone climate control are all present and correct, in addition BMW Assist is also fitted to both models. Safety is catered for with Driver Assistance Packages which offer options such as blind spot monitoring, lane departure warning, forward collision mitigation and adaptive cruise control. The X4 is also available with a number of additional options such as the Premium Package which adds comfort access and Sirius Satellite Radio and lumbar support for the front seats. Those not blessed with mild winters may also opt for the Cold Weather pack which adds heating to all seats and the steering wheel. The M Sport pack is reserved for the 28i however the M40i already come with uprated suspension components, adaptive dampers and larger wheels as standard. 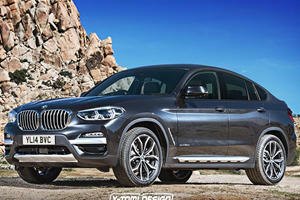 The X4 is a dynamic driving machine in the mould of a proper BMW, providing strong performance across the range it is an intriguing alternative to the traditional SUV. While it may sacrifice practicality for style those wanting more load lugging ability can always opt for the near identical X3, remember though that if you want the range-topping 355bhp M40i then it will have to be the X4. But can BMW afford to wait that long?